If you have an issue with any product – for example missing or broken parts, providing the following details when e-mailing the Customer Service team, will let us resolve your problem faster. When you e-mail, a ticket is created in our customer service system. We check tickets Monday–Friday in both our UK and USA offices first thing in the morning. So if you send an e-mail on Tuesday afternoon, it will be seen on Wednesday morning. Depending on your location, replacement parts may be shipped by UPS, FedEx or postal service. Are you a retailer interested in stocking the GF9 range of products in your store? 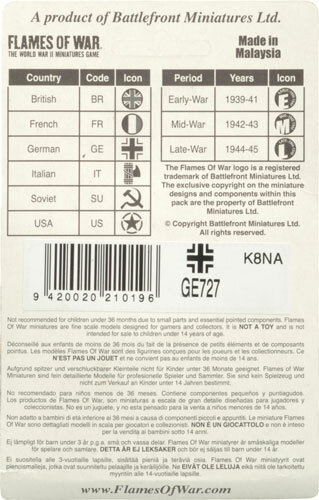 Contact one of the Battlefront Miniatures / Gale Force Nine team for more information.